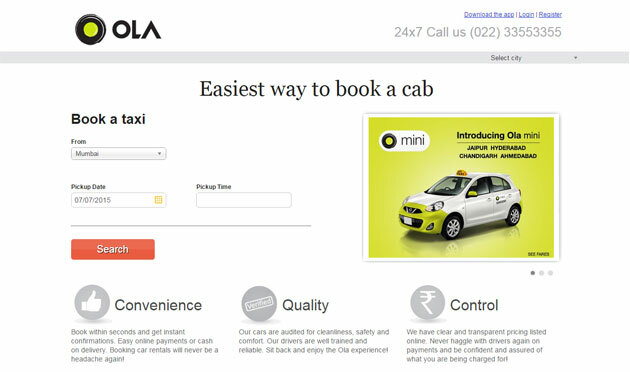 Online cab booking service Ola (formerly Olacabs) has roped in former Vodafone Group CEO Arun Sarin as independent director. Sarin would play an advisory role in shaping Ola's business strategies to drive growth, the company said in a press statement. Bhavish Aggarwal, CEO and co-founder of Ola, which is run by Mumbai-based ANI Technologies, said: "Arun is globally respected as a business icon and we at Ola will stand to benefit from his mentorship and guidance. His experience in management and in growing large companies is invaluable to Ola". Founded in January 2011 by IIT Bombay alumni Aggarwal and Ankit Bhati, Ola provides point-to-point services within the city, hour-based rental services and bookings for outstation travel. Arun, who served as CEO of UK-headquartered Vodafone Group Plc from 2003 to 2008, said: "I would be happy to help Ola grow into one of India's largest businesses serving tens of millions of customers everyday." The India-born Sarin is an alumnus of IIT Kanpur Kharagpur. Currently, he serves as director at Ondot Systems and adviser at Tarana Wireless. He was also associated with Kohlberg Kravis Roberts & Co.
Ola, which competes with San Francisco-based Uber for India's burgeoning ride aggregation space, has a network of over 70,000 cabs and more than 30,000 autos. It recently strengthened its network by an additional 15,000 cabs following the $200 million acquisition of smaller rival TaxiForSure, run by Bangalore-based Serendipity Infolabs. Ola wants to have one million drivers on its platform in three years. Currently, the service has over 100,000 drivers, a number that has grown from 10,000 a year ago. Ratan Tata, chairman emeritus of Tata Sons, recently made a personal investment in Ola.